My God, Motel are good just now. Loads of new printed pieces have just hit the website and literally every single one of them would be welcome in my wardrobe (sorry guys, I just don't have the space for you all). You might have seen me do a post with this printed skirt last week, and this week I added a printed set to my collection too, which Rob fondly refers to as 'my pyjamas'. You can find the top here and the trousers here, and you can get 20% off all full price items on the website with the code thelittlemagpie_1. On other news, I've added some more bits to my blog sale this week - from sequin tops to two piece sets - which you can check out here if the thought tickles your fancy. That jumpsuit is amazing, so 60's! I love Motels stuff. This matching set looks amazing on you and love how you've paired it with burgundy shoes! Love your new hairstyle! babin' as always. i think you could literally pull off anything! Wow you look absolutely amazing! Such a gorgeous outfit. Ah Amy, you are perfection! You look lovely, you hair looks great. 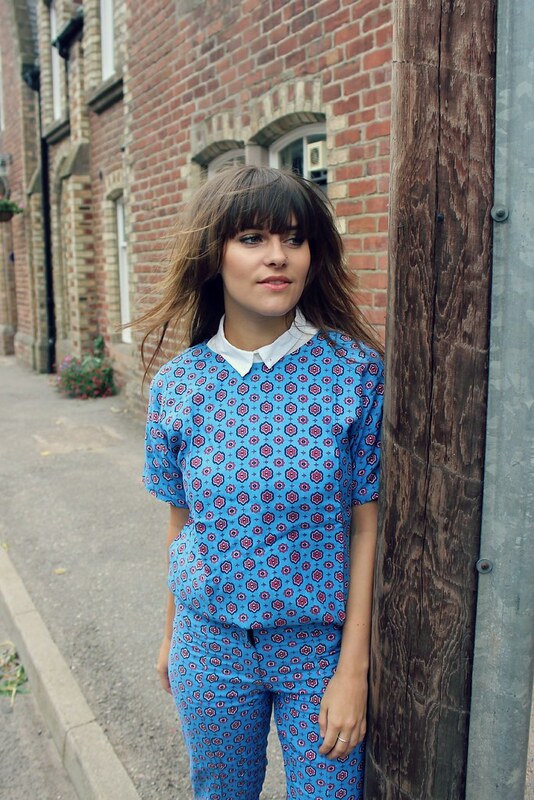 I was going to get the playsuit I am loving this print. Love this set, Motel is amazing right now... you look fiiiiine! The print on this is gorge! woow, You look amazing! I love Your jumpsuit! This outfit is amazing, I love this color on you! Your shoes are great, too! AAhhh LOVE this look so much lady!! 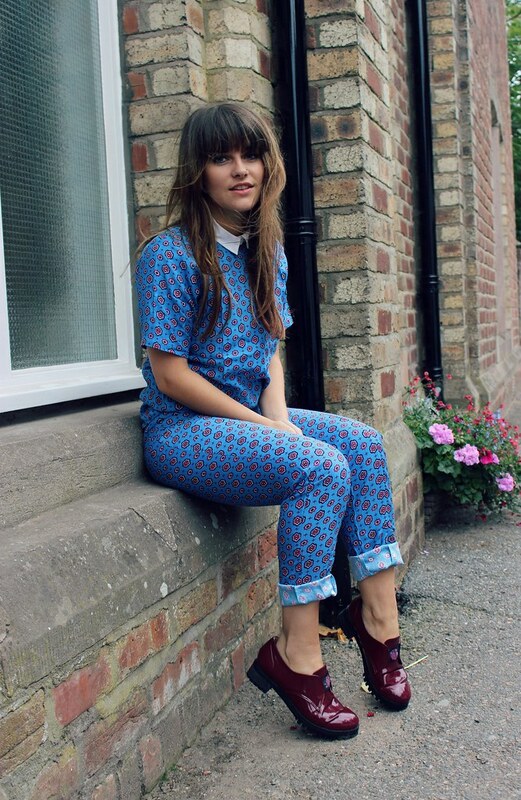 I have this jumpsuit, I like how you've styled it with a collared shirt underneath, great idea!